Toronto, Ont. – The Canadian Hockey League today announced the week twelve edition of the Kia CHL Top-10 Rankings for the 2018-19 season. The weekly rankings of the CHL’s Top-10 teams are selected by a panel of National Hockey League scouts. 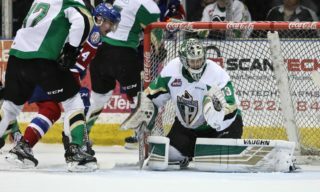 Once again, the Prince Albert Raiders stood atop the Kia CHL Top 10 Rankings as their 26-1-0-1 record continued to reign supreme across the Western Hockey League and CHL. 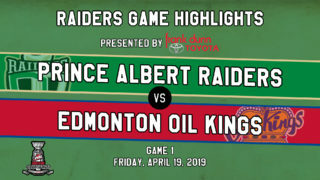 The Raiders’ week featured a 6-3 win against the Edmonton Oil Kings Wednesday and a 5-2 victory against the Regina Pats Friday, which brought their winning streak to 19 games. 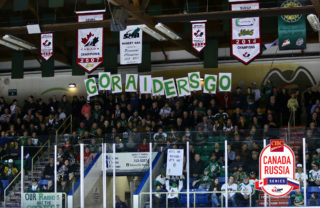 That’s where it’d end however as the Raiders dropped a 3-2 decision in the shootout Tuesday to the Swift Current Broncos. The news was still good for the Raiders, who had a pair of players invited to Canada’s National Junior Team Sport Chek Selection Camp in 2019 NHL Draft prospect Brett Leason and goaltender Ian Scott (Toronto Maple Leafs) on Monday. The pair were honoured again Tuesday with the WHL McSweeney’s Player of the Month and WHL Vaughn Goaltender of the Month awards respectively. 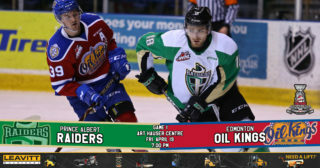 Up next for the Raiders is a date on the road at Westoba Place against the Brandon Wheat Kings on Friday night, opening up a home-and-home series. The return leg is on Saturday night at the Art Hauser Centre. Rising a single spot to sixth in this week’s rankings were the Everett Silvertips. Everett maintained their grip on the Western Conference lead with three wins over the past seven days to extend their winning streak to six games and their record in their past 10 games to 8-1-1-0. Captain Connor Dewar (Minnesota Wild) continued to impress with five points (2G-3A) in the three victories, bringing his season totals to a team-leading 41 points (23G-18A) in 26 games. Dewar’s five game-winning goals also have him ranked second in the WHL entering play Wednesday. As part of five games in 25 days against each other, the Silvertips will play host to the Spokane Chiefs for the third of those meetings Wednesday, December 5 (7:05 p.m. PT) at Angel of the Winds Arena. The biggest move of the week belonged to the Vancouver Giants, who rose three spots to sit seventh in the Kia CHL Top 10 Rankings. The Giants week also featured three wins, beginning with a 2-1 road win against the Kelowna Rockets, followed by a home weekend sweep of the Tri-City Americans. 2019 National Hockey League Draft prospect Bowen Byram also recorded five points (1G-4A) over his team’s three games placing him in a tie for eighth in WHL defensive scoring. Byram leads all draft-eligible defencemen in scoring with 24 points (4G-20A) this season, also placing him third in team scoring. Byram will be action with the Giants next on Saturday, December 8 (7:00 p.m. PT) when Vancouver plays host to the Victoria Royals at the Langley Events Centre. Earning an honourable mention this week were the Moose Jaw Warriors. Last year’s winners of the Scotty Munro Memorial Trophy, as the WHL Regular Season Champion, have stayed competitive despite off-season departures, posting a 3-1-0-0 record in four road games last week. The Warriors have to look no further to fill that offensive gap than forward Brayden Tracey, whose 16 points (5G-11A) in November earned him WHL Rookie of the Month honours. The Warriors are back in action Wednesday, December 5 (7:00 p.m. CT), playing host to the Medicine Hat Tigers at Mosaic Place.